If you are traveling through the Denver International Airport for TBEX, please read the information below to see how you may be effected by construction. 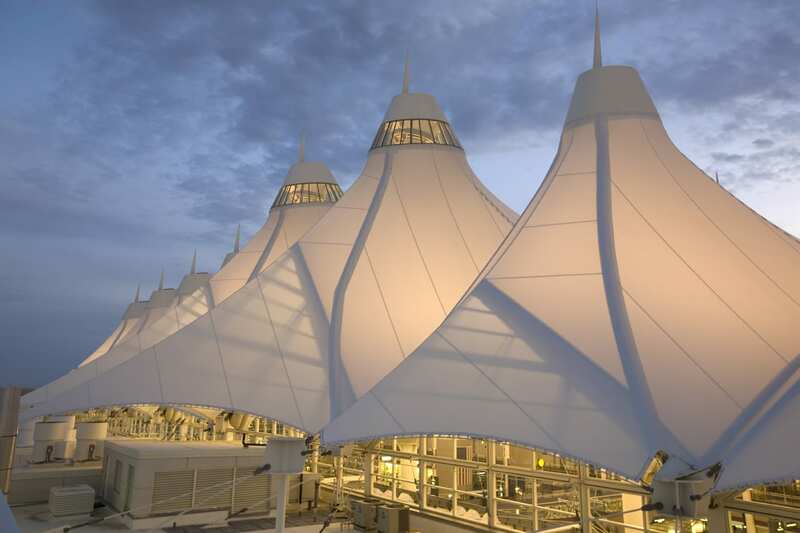 When people travel to Denver International Airport this summer, they will see many signs of progress as DIA builds for the future. Starting in June, reconstruction of the elevated roadway bridges at Terminal West will result in some temporary (up to 2 years) detours to DIA’s passenger pick-up and drop-off levels. The work is related to the construction of the new airport light rail terminal and Westin Hotel under construction at the south end of Jeppeson Terminal. Here are the highlights of what will be different this summer. Starting mid May 2012, if traveling by commercial carrier – taxi, limo or shuttle: During construction, commercial vehicles will not drop off passengers curbside at airlines on Level 5. All taxi or shuttle drop-offs and pick-ups will be in designated locations. Starting mid May 2012, if traveling by bus: Passenger drop-off and pick-up will move to Level 6 East. Starting June 2012, if picking-up passengers Terminal West: Arrival (passenger pick-up) traffic will be detoured through the parking garage to pick-up passengers curbside on Level 4. Vehicles will not be required to pull a parking ticket. Starting June 2012, if dropping off passengers on Level 6 West: Departure (passenger drop-off) traffic will be detoured off of Peña Boulevard to the left, along the west side of the West Economy Parking Lot and up the exit ramp, to Level 6 West. You will be entering Level 6 from the north instead of the south. If parking in economy lots or a garage: No changes to the normal routine. Orange directional signs will help guide the way during the reconstruction. For more information, visit www.flydenver.com or call the construction information hotline at (303) 342-6400.